Students desire to take admission in Manipal University will have to attend the MU OET 2018 entrance examination. After appearing this exam, students will get admission into various UG & PG courses in the area of Engineering, Pharmacy, Applied Sciences and many other courses. MU OET (Manipal University Online Entrance Test) will be conducted by the Manipal University. It is a university level entrance exam. This exam is a gateway to get admission in the Manipal University & its constituent institutions. Check this article, here we have update the complete information about MU OET 2018. In the below table, we are providing the tentative exam dates. Soon we will update the official exam dates after the declaration from the university. Candidates will be able to fill the application form through online mode only. No other mode will be applicable to fill the Manipal University application form. Candidates will fill the application form till 2nd week of March 2018. In the application form, candidates have to fill all the relevant details (personal and educational) which are mandatory. Candidates must upload their scanned photograph and signature. The online application fee is Rs.600 & for entrance test the fee is Rs. 1400. Payment can also be made through DD in favor of “Manipal University”, payable at Manipal/Udupi. Qualifying Exam: Candidates must have qualified 10+2 or equivalent examination from a recognized board. Subjects: Pass the above exam with Mathematics, Physics & English as compulsory subjects along with Chemistry, Biology, Biotechnology or any technical vocational subject. Minimum Marks: Secure 50% marks in Mathematics, Physics & any one of the optional subjects. Marks in Entrance Exam: Candidates have to obtain minimum 50% marks in MU OET exam. Age Limit: No minimum age limit. Qualifying Exam: Candidates have to pass 3 years Diploma in Engineering & 10+2 examinations from a recognized university. Subjects: Qualify the 10+2 exam with Mathematics as a main subject. Minimum Marks: Score at least 45% marks in the qualifying examination. Qualifying Exam: Candidates have to clear their BE/B.Tech or AMIE or equivalent exam from a recognized university. Minimum Marks: Pass the above exam with at least 50% marks in aggregate. Marks in Entrance Exam: Candidates must secure minimum 50% marks in MU OET exam. Age Limit: There is no minimum age limit to apply. Qualifying Exam: Candidates have to pass 10+2, A Level, IB, American 12th grade or equivalent examination from a recognized board. Minimum Marks: Candidates must qualify the above examination with a minimum of 50% marks in aggregate. Duration: The duration of the exam will be two hours thirty minutes (2½ hours). Type of Questions: The question paper will consist of Multiple Choice Question (MCQ). No. of Questions: Total 200 MCQ type questions will be asked in the MU OET exam. Duration: The exam will be about one hour. Duration: The exam duration will be about one hour. No. of Questions: For M.Tech, total 60 questions will be asked. For MCA, total 100 questions will come in the exam. Marking Scheme: Four marks will be awarded to the candidates for each correct answer. Negative Marking: For wrong answer, one mark will be deducted. The syllabus for MU OET is different according to the courses offered. B.Tech & other courses syllabus will be comprised of Physics, Mathematics, Biology, Chemistry & General English. The syllabus is based on the 10+2 level followed by major 10+2 Boards /Universities. Physics: Measurement, Kinematics, Force and Motion, Work and Energy, Rotational Motion and Rigid Body, Gravitation, Properties of Matter, Heat and Thermodynamics, Oscillations and Waves, Electrostatics, Current Electricity and Magnetism, Electromagnetic Waves, Optics, Modern Physics, Electronic Devices, Communication Systems & Experimental Skills. Chemistry: Physical Chemistry, Inorganic Chemistry & Organic Chemistry. Mathematics: Partial Functions, Logarithms, Mathematical Induction, Binomial Theorem, Analytical Geometry, Limits & Continuty, Trigonometry, Vectors, Circles, Differentiation, Integration, Probability, etc. Biology: General Biology Topics, Botany, Zoology, etc. General English: It includes spotting of errors, vocabulary, sentence improvement etc. Make a timetable and follow it to the end. Candidates have to know the complete syllabus prescribed for the exam. Cover all the topics of your syllabus to score better in the entrance exam. Candidate must follow the right books and study material. Go through the previous year question papers and follow it properly. 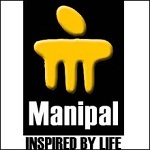 Question: What courses can I apply in Manipal University? Question: How can I apply for this exam? Question: What is the last date for form submission? Question: Can I apply for more than one course? Can I do it in a single application? Question: What are the eligibility criteria to apply for MU OET 2018? Question: Can I get the syllabus for Manipal University Online Entrance Test? Question: Can I get admission only on the basis of the MU OET exam? To get an admit card, candidates have to book a slot in a given time period. The MU OET Slot Booking 2018 will be started from the 3rd week of March 2018. The admit card will be generated within the 24 hours after the slot booking. Candidates will be able to get the MU OET admit card 2018 through online mode. The Manipal University hall ticket will also be sent to the candidate through email in their registered email ID. Once slot booking done, it cannot be changed under any circumstances. The exam conducting authority will publish the Manipal University Results 2018 through online mode. Candidates will be able to check their results in the 3rd week of May 2018. The result will be viewed by entering the application number. Keep the printouts of the result for the counselling & admission process. After the declaration of the result, the counselling process will begin. Manipal University Counselling Procedure will be started from the 1st week of June 2018. The counselling venue will be selected by the candidate at the time of slot booking. Candidates have to bring the original documents & admission fee at the time of counselling. Candidates have to present physically at the time of counselling. The seats will be allotted on the basis of rank secured by the candidate in the exam. If you have any queries related to MU OET 2018, you can ask us by leave your query below in the comment box.